There’s tremendous pressure on Ombudsman Merceditas Gutierrez to resign or face impeachment because the Aquino administration feels she’s been too soft on the alleged “sins” of past Arroyo administration, owing to her closeness to the former First Couple. The belief is that prosecuting the former President, a key Aquino campaign promise, won’t prosper while Gutierrez is there. Pressure has heightened since former Agriculture Secretary Cito Lorenzo recently returned from self-imposed exile; the common thinking is that he’d turn state witness against his former subordinate, Joc-Joc Bolante and their boss Gloria Macapagal Arroyo, but that Gutierrez would wobble on this issue; hence the pressure to make her resign. Those who know her, however, say she’s a tough cookie and resigning is not in her vocabulary. The new administration seems to bank more on possible impeachment, but as veteran lawmakers note, getting the necessary 96 votes to throw it to the Senate may be out of the question, especially if the key issue is the fertilizer fund from which so many legislators benefitted in 2007 to the tune of at least P5 million each. In a gathering with media women months back, Gutierrez stressed that one reason the fertilizer scam case took a long while to investigate was because her people had to go to each and every province and city to verify facts. 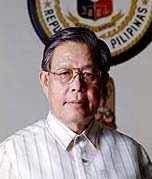 Besides, as Rep. Edcel Lagman noted, the one-year ban on repeat impeachments may still be operative (recall that former Senate President Jovito Salonga led a bi-partisan group last year to impeach her, but the move was defeated by the Lakas majority). Lakas has since been so decimated by defections, but the presence of Rep. Macapagal Arroyo could serve as a rallying point to thwart the impeachment move. GMA’s influence cannot be underestimated at this point. What may be more effective is the move of President Noy to set up the Truth Commission to be headed by former Chief Justice Hilario Davide, whose task will be to seek solid evidence on various allegations of corruption in the Arroyo regime. If it succeeds in gathering such evidence, the popular thinking is that the Ombudsman would have no choice but to prosecute GMA and her husband. About two years ago, this journalist had a discussion with a former high-ranking jurist on the fate of GMA in the post-presidency. 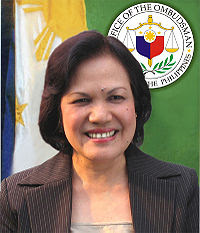 He opined quite strongly that with the kind of evidence that surfaced in different congressional hearings on the various scandals, they proved quite effective in the court of public opinion, as evidenced by her unprecedented unpopularity; in the eyes of many sectors GMA was already convicted. But in the court of law, where evidence has to be beyond reasonable doubt, he said, those cases won’t stand---she won’t go to jail. The question is, is there hard evidence that the Davide Commission feret out? There are people who feel the cheating issue is a light matter that wouldn’t affect Alvarez’s performance at Customs, but many more feel strongly that P-Noy should remove him since that post’s principal requisites are integrity, credibility and honesty; besides, the LP candidate’s entire campaign was anchored on those virtues. The good book put it well: if one can’t be trusted in small things, one can’t be trusted in big things. Apparently Ricky Razon is more decisive. Reports say that the guy who won second place at the tournament, who was in Alvarez’s flight and is his friend, was Razon’s CFO in ICTSI, but his boss immediately fired him when news of the cheating surfaced. There are a number of interesting new officials in the new administration. 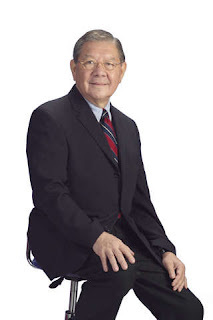 The central figure is Executive Secretary Paquito Ochoa, who headed the legal team of then LP candidate for Mayor Sonny Belmonte since 2001; in 2003 Belmonte appointed him QC administrator, strengthening especially the financial and delivery aspects of governance. 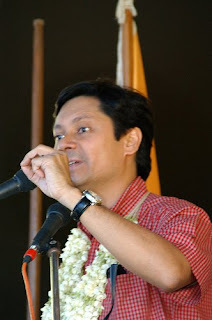 An Ateneo law graduate (class ’85), Ochoa practiced law in the Marcos Ochoa Serapio Tan law firm where the Marcos is Sen. Bongbong’s wife, Lisa Araneta Marcos, and the Serapio is Eduardo Serapio, who is remembered as the lawyer of the Muslim Scholarship Foundation of former President Joseph Estrada that was run by his late brother-in-law, former UP Public Administration Dean Raul de Guzman. Today’s betting is that this law office (from which Ochoa is on leave) would replace The Firm as the most influential in the Noynoy administration. Another prominent member of Ateneo Law Class ’85, in fact its valedictorian, is BIR Commissioner Kim Jacinto-Henares, whose classmate-husband, Danby Henares, is one of the sons of irrepressible economist-writer-radioman Larry Henares. Kim had served with BIR Chief Guillermo Parayno as his deputy, so she knows the ropes. Louie Barcelon-Locsin sought to lose her grief in New York’s myriad charms after the elections, after having been cheated in the Makati congressional elections. Louie, whose husband, former Rep. Teodoro Locsin, conducted several weeks of hearings after the elections on fraud cases in his committee on suffrage and electoral reforms, went to bed a winner, only to wake up next day a loser---a measly 240 votes came in the “wee small hours of the morning” to defeat her. To the credit of the Locsins, TeddyBoy’s hearings, which I assiduously covered for the Inquirer, heard just about every complainant’s story, but not Louie’s. Can P-Noy shield mega-projects from corruption?